Born in a world of forms, pictures of "things" and appearances, mind of human being by default is always after 'form' whether its the form of the divine - crudely shaped in idols, or form of wealth and power. Even though human essence, which is his or her soul - is essentially formless, and the heart perceives the kingdom of attributes and qualities such as love, compassion, intuition which are also without form - yet unless man evolves towards spiritual kingdom, he is a prisoner in his primitives level of mind and therefore only in forms and pictures. Shaykh Sidi Muhammad al Jamal, may Allah be pleased with him, always teach and remind his students, "DO NOT STOP at the pictures." Thats the condensed form of all the nasiha (advice) there can be for a beginner who start walking on the Path and continues to be the reminder even when a seeker is advancing in the Path. Here picture, form or veil are all points to the same phenomenon. The progress of the soul in it's striving towards the Lord is going beyond forms and pictures. a (great) striving until you come to meet. What does it mean to learn the knowledge of God's Unity? you grabbed hold of "I" and "we,"
The birth of monotheistic consciousness happened simultaneously in many places of the world at a cusp of a momentous era in human history. For sake of reference Abrahamic tradition of Monotheism descending through Patriarch Abraham, upon him be peace, is generally taken as a pointer to that Monotheistic consciousness rising. With this first revolution of transcending forms and moving towards formless adoration of the Divine began. For the human mind it was truly something astonishing, to move away from from to abstract transcendence, towards formless. It was in Abrahamic tradition (pre-Judaic, as Abraham in truth was neither Jewish, nor Christian but Pure Monotheist, Hanif) and later Hebrew (Judaic) tradition discarded the grosser representation of forms by doing away with idol worship. Islam, which is the final and natural successor of that Abrahamic lineage reaffirms the evolutionary movement and successfully establishment of formless-transcendence and beyond-form-immanence of the Divine. There are symbols or more accurately said, Signs of God (Ayatullah) which replaced forms in Islam. Thus instead of solidified, static form, Islamic consciousness revolves around Signs of God. Thus the Kaba (literally meaning cube) becomes the symbol of celestial abode of adoration, the salaat (established daily prayer) becomes the symbol of celestial adoration and so on and so forth.The muslim head covering or white turban becomes the visible symbol for aura or halo of human consciousness illuminated by divine consciousness. In his research paper, Laurence Gailean writes: "Islam is aniconic. In other words, images, effigies, or idols of Allah are not allowed, although verbal depiction abounds. There was a question long debated in Islam: can we see Allah? The Prophet said in a hadith, “In Paradise the faithful will see Allah with the clarity with which you see the moon on the fourteenth night (the full moon).” Theologians debated what this could mean, but the Sufis have held that you can see Allah even in this world, through the “eye of the heart.” The famous Sufi martyr al-Hallaj said in a poem, “ra’aytu rabbi bi-‘ayni qalbi” (I saw my Lord with the eye of my heart)." We are clearly talking about a different reality that is not limited to physical and form-bound reality. In Islam since Pure Divine Essence is realized as beyond any form or human imagination, form of God can not possibly be formalized in any shape or form - that is the position of all true gnostics. On the same token, for Muslims, the perfected exemplar who represented that very divine presence on earth, Muhammad Mustafa, himself also remains formless and shadowless presence. For Sufis, the batini (inward) face of a true Murshid remains unseen with zahiri (outward) eyes. Now it is true that although ascent is in the direction of formless, man can not simply discard all forms all together in all times. But while we can be in the world of form in harmony, there is always possibility of movement towards a more perfected form. And according to Islamic cosmology, nothing in the heaven and earth is more perfected than Human form, who alone is titled, Khalifatullaah, God's representative. To address the tendency of human mind to gravitate towards form, in Islam, specially in the understanding of Tasawwuf (Sufi Science), Divine presence is taught to be sought in the presence of an elevated human heart of a Murshid, a Sheikh, a Teacher of Truth, a Guide and divine face to be sought in the face of a True Human Being. The grace and blessing of a single living saintly soul and his face and his heart are millions time powerful than any icon or an idol made of clay even if thousands upon thousands may worship it. Face of Divine Feminine in Islam. - you could say that she is not created. So often has Islam been portrayed as an exclusively masculine, patriarchal faith that many have never suspected the central importance of the Feminine in Islam and would be astonished to realize that it has been there from the beginning. 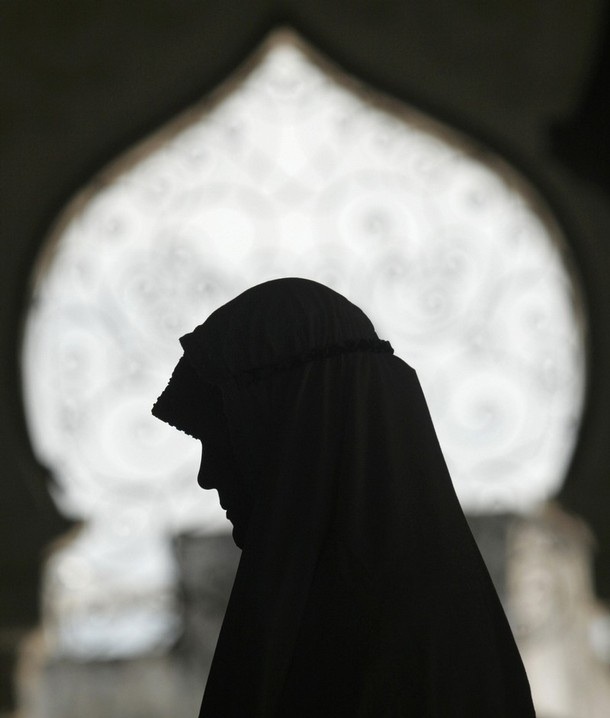 Perhaps in part due to the metaphysical interiority of the Feminine, this aspect of Islam has lived a largely hidden existence - but it is no less vital for that. In recent years there has been much discussion and controversy over how to reshape Christianity to include the Feminine on the divine level, but in Islam that has never been an issue, for the feminine element in Islam has always been present, especially in Sufism because it was the Sufi who could understand the marriage between the spirit and body of Islam. On the highest level of the Divine Reality, Allah is perfectly One. The root of the duality between the masculine and feminine is found in the divine nature itself. Allah's Essence transcends all duality, all relationality, so it is beyond male or female. But even on the level of the Divine Nature, there are the roots of the masculine and the feminine. On the highest level, Allah is at once Absolute and Infinite. These two attributes are the supreme archetypes of the masculine and the feminine. "Masculine" and "feminine" are not simply equivalents of the human male and female, since all men and women have elements of both masculinity and femininity within them. That Allah is Absolute is the principle of masculinity, and that Allah is Infinite is the principle of femininity. Allah has revealed Himself in the Qur’ân in the names of rigor and mercy, known as the names of Majesty (jalâl) and Beauty (jamâl). The Generous, the Merciful, the Forgiving are names of mercy or Beauty, while the Enumerator and the Just are names of rigor or Majesty. On the level of the names are the principles of the masculine and the feminine: the names of Majesty are the prototype of masculinity, while the names of Beauty are the prototype of femininity. Vis-à-vis the world, Allah is Creator. This divine function is on the masculine side, representing the aspects of action force, movement, rigor; Allah as Lawgiver. But then there is the uncreating aspect of Allah. Allah is not exhausted by His creation of the world. Allah is more than the creator of the world: al-Khâliq, the Creator, is only one of the divine names. The Divine Reality did not completely participate in the act of creation. Allah is Infinite and the world is finite. The non-creating aspect of Allah corresponds to the Divine Femininity. It is this to which Sufi poetry so often refers in the feminine. The images of the beautiful Beloved are referring to the metacosmic aspect of the Divine, not the creating aspect. That is why Ibn al-‘Arabî says Allah can be referred to as both huwa (He) and hiya (She). Some of the key terms associated with the Divine are in the feminine gender in Arabic. Three of them are essential to understand the feminine dimension in Islam. One of Allah's names is al-Hakîm, the Wise; Wisdom is hikmah. In Arabic to say, for example, "Wisdom is precious," you could repeat the feminine pronoun: al-hikmah hiya thamînah, literally "Wisdom, she is precious." This has resonance with the forgotten Christian mystical tradition, in which Wisdom is personified as a woman, the divine Sophia, associated with the Virgin Mary. The second term is rahmah (mercy), related to the most important name of God after Allâh: al-Rahmân, the All-Merciful, related to the word for 'womb', rahim, the source of life. The source of life is the Divine Mercy and the feminine aspect of it is very evident. The third, the most remarkable of all, is the word for the Divine Essence itself: al-Dhât, which is also feminine. In that the Divine Essence is Beyond-Being, unmanifest and transcending all qualities, it may be understood as Feminine. The renowned Sufi master Najm al-Din Kubra wrote of the Dhât as the "Mother of the divine attributes." According to a commentary on Ibn al-‘Arabî's Fusûs al-hikam, a hadith of Prophet Muhammad "gave priority to the true femininity that belongs to the Essence." Ibn al-‘Arabî himself wrote that "I sometimes employ the feminine pronoun in addressing Allah, keeping in view the Essence." In contrast to Christianity, Islam has never depicted God as Father. Such a comparison is completely outside the boundaries of Islamic discourse. However, Muslims have always found it easy and natural to speak of the maternal qualities of Allah. Prophet Muhammad was the first to use the example of mothers to illustrate Allah's mercy. After a battle, the Prophet and his Companions came upon a group of women and children. One woman had lost her child and was going around looking for him, her breasts flowing with milk. When she found her child, she joyfully put him to her breast and nursed him. The Prophet asked his Companions, "Do you think that this woman could throw her son in the fire?" They answered "No." He then said: "Allah is more merciful to His servants than this woman to her son." (From the hadith collection of al-Bukhari). Another al-Bukhari hadith describes how during the Muslim conquest of Mecca a woman was running about in the hot sun, searching for her child. She found him, and clutched him to her breast, saying, "My son, my son!" The Prophet's Companions saw this, and wept. The Prophet was delighted to see their mercy, and said, "Do you wonder at this woman's mercy (rahmah) for her child? By Him in Whose hand is my soul, on the Day of Judgment, Allah shall show more rahmah toward His believing servant than this woman has shown to her son." I don't want a nurse; my Mother is more fair. The Ka‘bah in Mecca, the very heart and pivot of the Islamic world, naturally is associated with feminine imagery, veiled in the black color of the Feminine Beyond-Being. Medieval writers and poets have often compared the holiest shrine of Islam to a veiled bride or a desired virgin, especially when on the pilgrimage. Their goal was to touch and kiss her beauty mark, the black stone. Prophet Muhammad's soul had a deeply feminine nature within. When his Companions asked him whom he loved most in the whole world, he answered it was his wife, 'Â'ishah. They were surprised to hear him announce love for a woman, as this was a new concept to them; they had been thinking in terms of the manly camaraderie between warriors. So they asked him which man he loved most. He answered Abû Bakr, 'Â'ishah's father, a gentleman who was known for his sensitivity and feminine receptivity. These answers confounded the Companions who until then had been brought up on patriarchal values. The Prophet was introducing reverence for the Feminine to them for the first time. He himself was extremely shy, except when he had to standup against injustice. Out of shyness he would turn his face away sometime, sometime he would hesitate to say something that would contradict gentleness and compassion. Surah 109 ins the Qur'ân, al-Kawthar, gives an especially revealing look into the Prophet's feminine soul. It was revealed because his enemies had been taunting him that he had no sons, only daughters, while they had been given sons to perpetuate their patriarchal ways. Allah revealed this message of consolation to the Prophet: "We have given thee al-Kawthar ... surely the one who hates thee will be cut off (from progeny)." What is al-Kawthar? A sacred pool of life-giving water in Paradise-a profoundly feminine symbol. It represents a heavenly exaltation of the Feminine over patriarchal society. The name of Kawthar is derived from the same root as kathîr 'abundance', a quality of the supernal Infinite, the Divine Feminine. Seen from the exterior, Islam may appear as a masculine-dominated faith. That is because its external aspects, such as the sacred law that governs the social order, are a manifestation of Allah's jalâl attributes. The hidden side of Islam, little known to the outside world, lives and breathes the values of interiority, the loving, forgiving, merciful Divine Presence that draws hearts closer, the infinite jamâl aspects of Allah's Beauty. The eternal primacy of Allah's feminine nature is established in a hadith qudsi: "My mercy precedes My wrath" (rahmatî sabaqat ghadabî). Beyond all, the infinite eternal mystery of Allah's uncreated Essence is the Divine Feminine that is the ultimate spiritual Reality, calling to the souls who love Allah to come home and find perfect peace. The great Shaykh Ibn Arabi maintained that women are the most potent icon of the sacred, because they inspires love in mean which must ultimately be directed to God, the only true object of love. There is no real lover or beloved but Allah. "The Divine Feminine has always been present in Islam. This may be surprising to many people who see Islam as a patriarchal religion. Maybe the reason for this misconception is the very nature of the feminine in Islam. The Divine Feminine in Islam manifests metaphysically and in the inner expression of the religion. The Divine Feminine is not so much a secret within Islam as She is the compassionate Heart of Islam that enables us to know Divinity. Her centrality demonstrates her necessary and life-giving role in Islam." In esoteric reality of Islam, there is a specific and very important Divine Feminine Face exists who is none other than the beloved daugher of our venerable Master, Fatima Zahra. Fatima is regarded by some Sufis and theologians as the first spiritual head (qutb) of the Sufi fellowship. May Allah help us receive blessing through our effort to understand her and forgive our limitations of this feeble effort. Madad ya Fatima bint Muhammad! Madad ya light of the eyes of Mustafa! NEXT POST: In the next post, Inshallah, I would like to share more on Fatima and a contemporary Sufi seeker's dream of Fatima at the holy sanctuary of Kaba. O Allah bless Ahmad, the guide to the presence of purity (ilaa hadrati t-tuhri), with all the forms of perfection. And his holy family, specially the purified ones, Ali, Fatima, Hasan and Hussein and noble companions. And O Lord! Through the compassionate guide, Muhammad, grant us sciences that will benefit us on the Day of Meeting. # References and related posts.